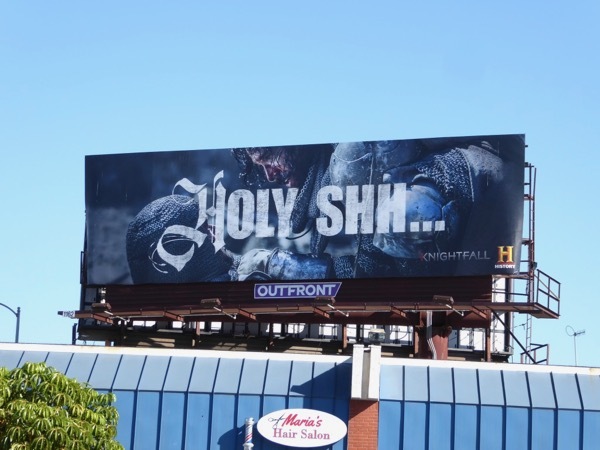 This December the spotlight is shone on the holy order of the Knights Templar in the History channel's Knightfall. 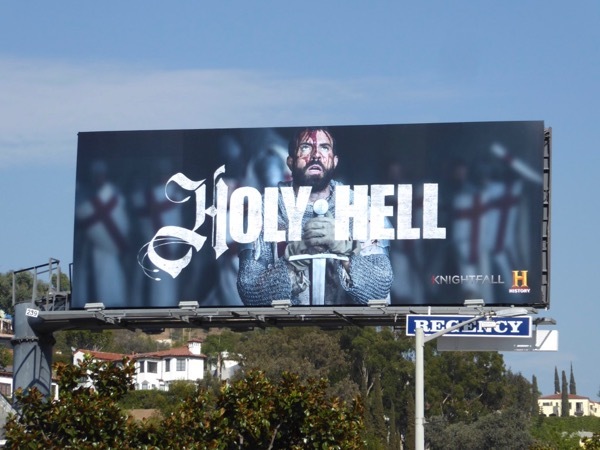 Tom Cullen stars as the courageous and headstrong Templar Knight 'Landry', one of the mysterious military order charged with protecting Christianity's most prized relic, the Holy Grail. 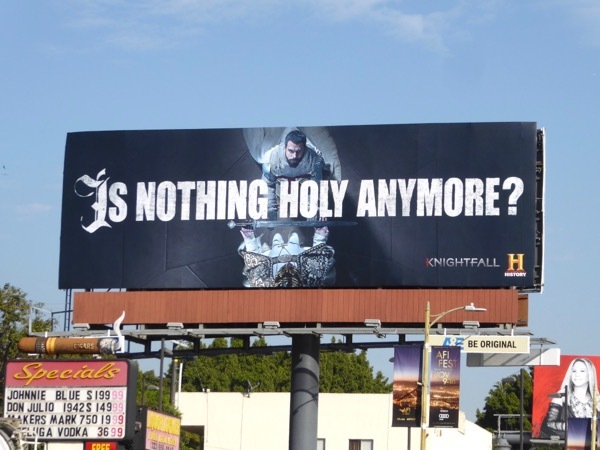 Set in 1306, Knightfall goes deep into the clandestine world of the legendary elite warrior monks and their mission to protect the church's secrets and fight their battles in the Crusades of the Holy Land. 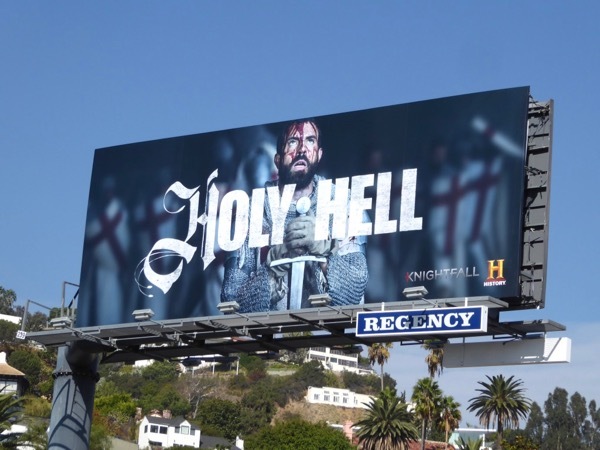 This ten-episode fictional drama will chronicle their holy quest and the powerful enemies they face, like Ed Stoppard's 'Philip IV of France'. 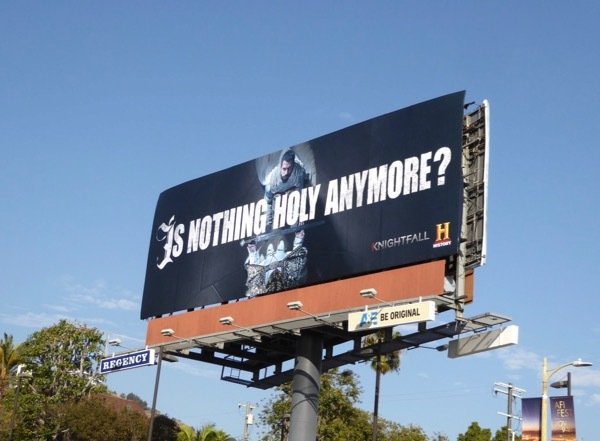 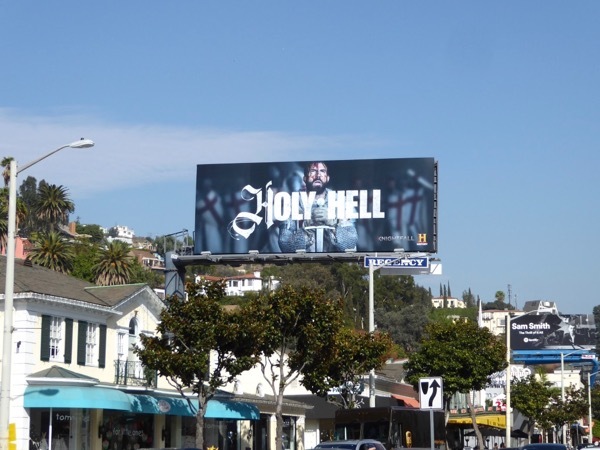 These teaser billboards for the new History series were photographed along the Sunset Strip, Highland Avenue and Fairfax Avenue on November 15, 2017. 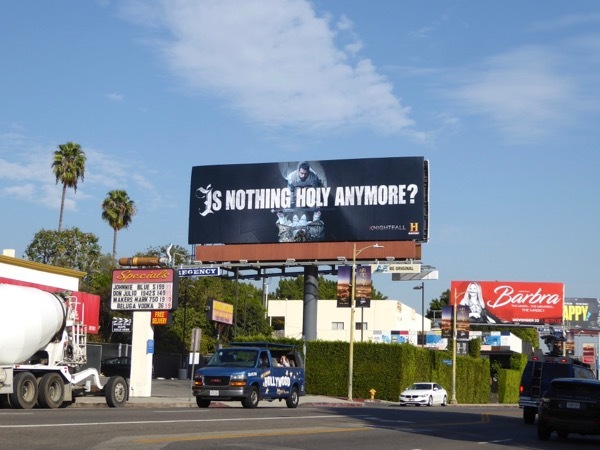 For more holy ad creatives be sure to also enjoy these billboards for The Young Pope, these billboards for The Borgias and these Killing Jesus billboards. 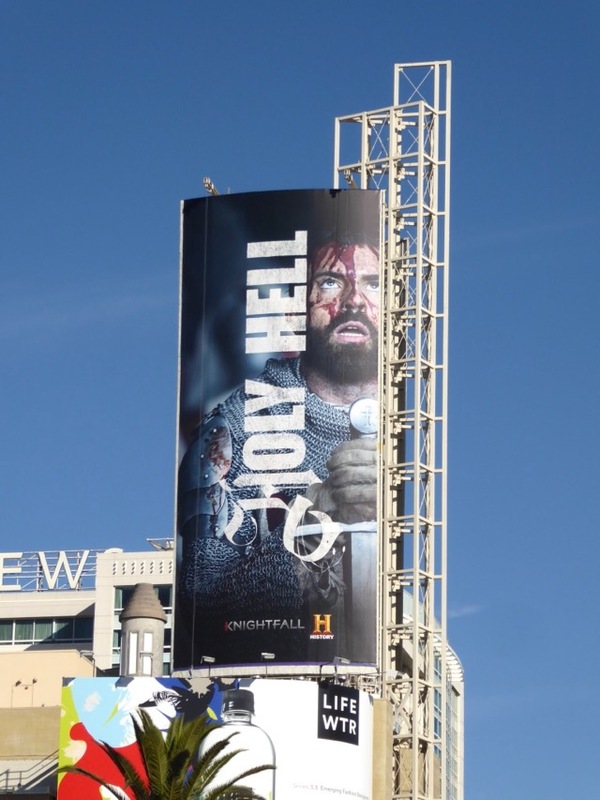 After the success of Vikings, let's see if History has another television hit on its hands this holy holiday season. 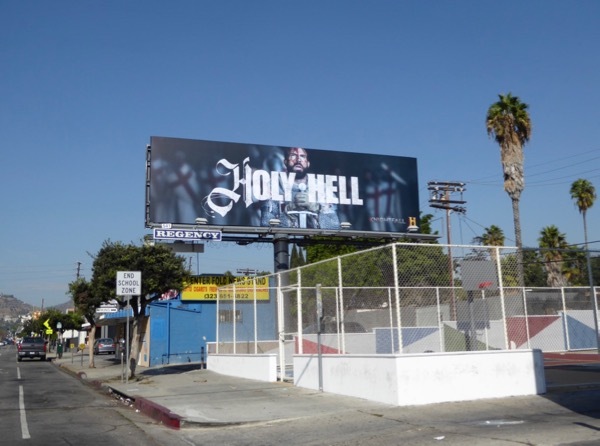 UPDATED: Here's also another clever billboard for the new series, spotted along Santa Monica Boulevard in West L.A. on December 1, 2017, although isn't profanity a sin?